Update, March 22nd: At the Content Creation User Group meeting, Oz Linden indicated the return of last names will be somewhat similar to the “old” system – users select a last name from a list. However, people will be able to change their names as often as they like (although a fee will apply). See more in my summary update. He also indicated that the Lab might take suggestions from users for last names which can be included in the various sets of names offered. As promised during the VWBPE 2018 conversation with Linden Lab CEO Ebbe Altberg and Brett Atwood (Brett Linden), Senior Manager for Marketing at Linden Lab, the company has provided a blog post presenting something of a “roadmap” for Second Life. 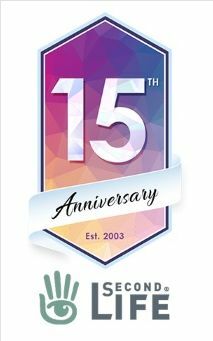 The post, which also serves as something of a launch of Second Life’s 15th anniversary, starts with a recap of the Mainland price restructuring announced on March 14th, 2018, and goes on to provide an interesting list of items – some of which could prove to be highly popular. Key among these is the promise that – after years of requests – last names will be returning to Second Life. Another intriguing change will see the Mainland Land Auction system overhauled, including integration with Place Pages and the ability for users to auction their own land. We’ve got a number of improvements to Marketplace in the works, too! We’re integrating many long-requested features that will help to reduce clutter and improve the functionality of listings as the Marketplace gets a facelift later this year. All three are primarily covered in my Content Creation User Group updates. It’s also worthwhile that alongside of the EEP work mentioned in the blog post, there is also a project – no time frame available – to improve the Second Life’s atmospheric shaders – which could help update SL’s general appearance and more easily allow atmospheric effects like Godrays. 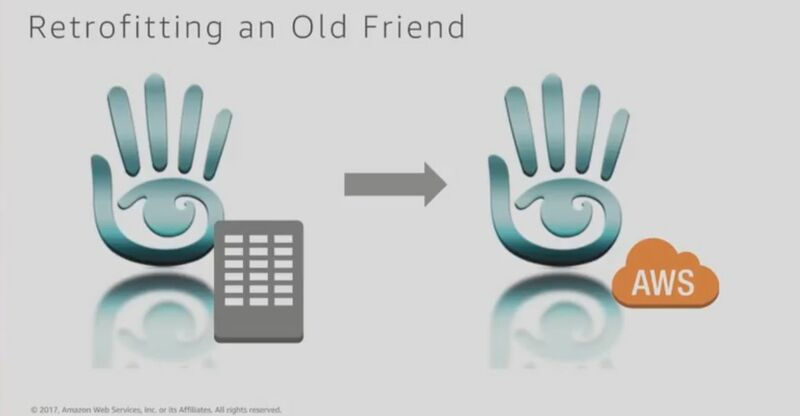 The work to move Second Life to the cloud gets a mention in the blog post. Credit: Linden Lab / Amazon Web Services Inc. The work to move Second Life to the cloud also gets a mention – and I’ll have a blog post on this up and available soon, largely as a result of the VWBPE 2018 event mentioned above, and also comments made by Ebbe Altberg and Oz Linden at a recent Third-Party Developer meeting. In the meantime, the blog post notes the work to enhance and improve SL’s performance both on the server-side and in the viewer. Additional benefits for merchants with Premium membership, which may have come out of / been hinted at during Web User Group meetings. Linden Homes are going to get a (long overdue) revamp. Premium users will be able to run Experiences that are enabled anywhere on the grid (unless specifically blocked by a landowner). This is again something many Experience creators have requested since the introduction of Experiences. Finally – and as some have noted with the arrival of new region groups on the grid in recent weeks – a further new Experience-based game is on the way. Expect to see that, according to the official blog post, closer to the actual SL15B celebrations. All told, the list of 15 expectations is an interesting mix of news, some of which those actively engaged in Second Life will already be aware, as note. Others – again, perhaps notably the upcoming return of last names – could generate excitement among users. I’m personally keen to see the new themed learning islands, and will hopefully have more information on them as the project launches in the new future. I’ll also continue to cover the technical enhancements to the platform through my weekly project updates. Nearly universal agreement that dropping last names was a bad idea and LL’s only excuse for not restoring them was “it’s hard” —- whine. One qualifier, last names, once granted, are *permanent*. The whole point is that it is your unchangeable account name. Display names provide the option for creativity and versatility. Just when I was getting use to being called ‘Resident’. Going on five years and its become a struggle and not just with names. Its still expensive to own public land or run multiple sims but though I understand the server upkeep and stuff but for what we all are paying its lag, more restarts and unscheduled maintained more than I ever remembered. Bring back last names AND better operational time and performance. The blog post does make mention of the fact that performance improvements (server and viewer) are in progress – much of the work going on at the moment, server-side is on performance and stability. For may part, as someone on SL daily and engaging in a lot of activities, including flying and sailing (involving multiple region crossings), playing golf at least once a week, going to dance venues (as well as running a small club of my own), helping to manage an estate, as well as all my exploring, etc., for this blog, I tend to feel that by-and-large, SL performance is significantly better than five years ago (I’m also one who remembers when the entire grid used to go down once a week for between 6 and 10 hours every Wednesday for scheduled maintenance!). Not perfect, true – but better. The problem nowadays seems to be that when something does go wrong on the sever side / back-end, it just seems to hit the grid a lot harder than perhaps it felt like in the past – and some of that might actually be the result of other aspects of SL being made a lot more resilient over the years. I try to keep pace with all the work the Lab is undertaking through my weekly updates from the various in-world meetings, so you’re more than welcome to check those for the work the Lab is carrying out. The play experience anywhere is the one must-have premium perk I’ve been waiting for! Looking forward for this. I would suggest that the first name change is free per avatar and then the fee thereafter. There may be those with two or more avatars. Changing the name for each one with a hearty fee would impose a super hearty deduction from their bank account. The return of the last name! When we sat down to think through what would convince people that we are serious about improving SL, we couldn’t get away from Last Names. Secondly, and more particularly, Speaking at the Web User Group meeting on March 28th, Grumpity Linden made it clear that last names will *not* be returning to the sign-up process. All new sign-ups will still be “Resident” by default, but will – like all of us – have the opportunity to change their name to whatever they like after they have signed-up and wish to make the change. See here for a recent update on comments from the Lab. Sansar WILL NOT be the LLs cash cow they had hoped for, and Second Life, regardless if its old, CAN be updated and improved, and it is still popular, regardless of failing numbers of people there. I feel if Linden Labs stop[s being restrictive, and takes the wishes of users seriously, then the 3d world would grow again, and perhaps have some of the magic and luster it had in the olden days.